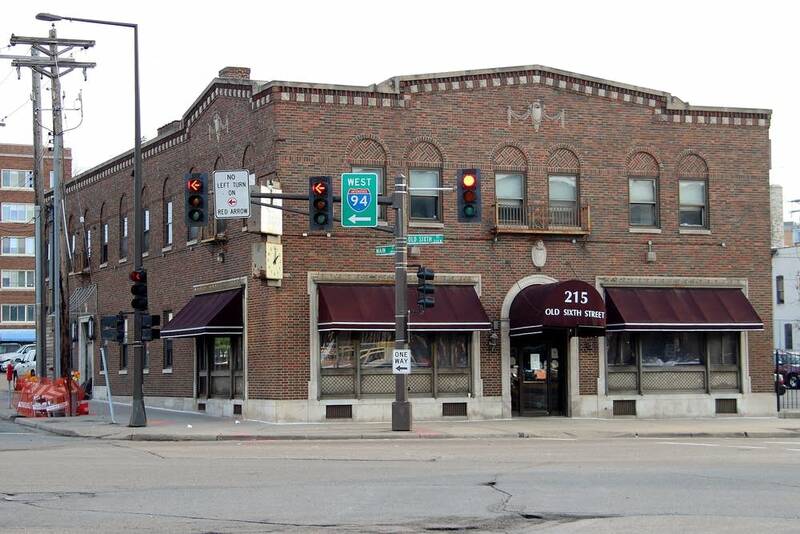 The corner building at Old 6th and Main streets in St. Paul still shows hints of its grander days. Ornate plaster edges the lobby ceiling, and carved stone drapery decorates the brick exterior. 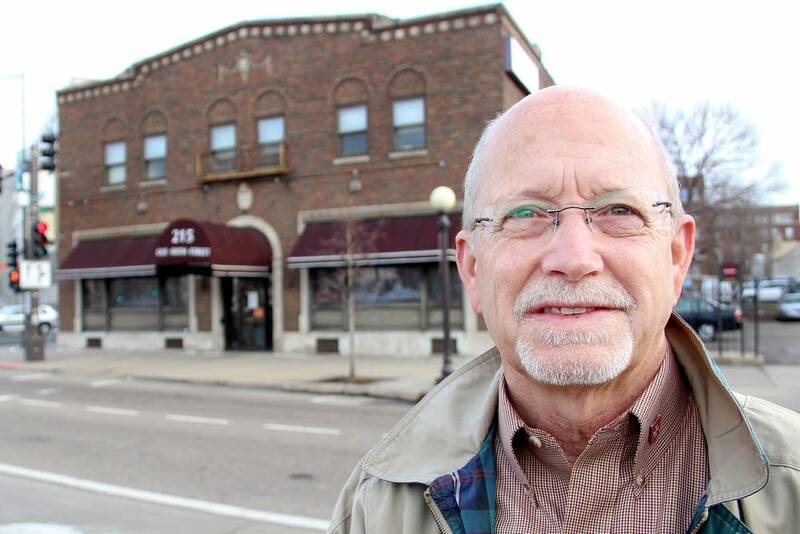 It was a funeral home for decades, and later office space for Catholic Charities. For the last seven years, it's been a homeless shelter in the winter months, housing about 40 people a night when Catholic Charities' Dorothy Day Center a few steps away was filled and space elsewhere was scarce. "It allowed us to not turn people away," said Gerry Lauer, who runs Dorothy Day. "People had a warm place to be all winter long, and it served us well." Not for much longer, though. It's closing for good at the end of this month, and it'll eventually be replaced by a new $100 million Catholic Charities campus. That includes a new shelter across the street to hold more than 300 people, and some long-term housing. The new facility, called Higher Ground St. Paul, is being privately and publicly funded, and will be a substantial upgrade for the city's homeless. But the men who have been living together in the old mortuary and the volunteers who have stayed there with them have forged an unlikely bond in an improbable place. It's one that some say they'll be sad to leave behind when it closes. Steve Hawkins, a parishioner from St. John Neumann Catholic Church in Eagan, was part of the original group that volunteered to step in to set the place up and run it back in 2010. At the time, Catholic Charities feared it might have to turn people away from its Dorothy Day shelter out into the winter. But Hawkins and scores of volunteers take turns keeping the place open. They come in pairs for the night to set tables, serve up meals, even sleep among the clients before they clean and vacuum, then return to their own homes and jobs in the morning. They've provided more than 12,000 hours of volunteer service and they even held one final funeral in the place, when one of the regulars died of a heart attack last year. No one from his family came forward to claim his remains. "You know, there's busy work, of getting stuff ready," said regular volunteer Joe Gillis of Woodbury as he dished up dinner recently. "You're kind of making sure things are nice, but then you get some time, where you sit down and talk with the guys and you find out what their story is." This shelter is for men only, typically older men. They're often ill-suited to the bustle and crowding at Dorothy Day next door, and worn down by life on the street. Gillis says there's a haunting familiarity to many of their stories. "The people that you meet here are people that could be much like you and I. They had good careers. They did well. And then, all of the sudden for whatever reason, something changed," he said. "Job, personal, whatever, and things didn't go their way. They fell on hard times, and the next thing they knew, they were homeless." That's what happened to 61-year-old Michael Force. He used to work on a sheet metal production line for a building products company. The housing collapse put him out of work and eventually out of his townhome in St. Louis Park. He said he'd never imagined being on the street, let alone finding home in an old mortuary in St. Paul. "I didn't even have any premonition of it," he said. "It's something that I just don't like talking about, but it's always here. I saw the signs telling me to do something different, before something would happen, and unfortunately, I didn't jump." He's still hoping to find work, get back on his feet and get a place of his own again. But this week Force and his friends will be bidding a final goodbye to the makeshift family they've made in an unlikely place they've called home.